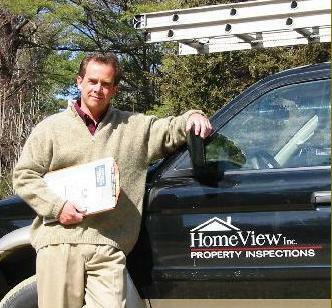 HomeView Inc. offers full-service home inspections to buyers and sellers. Established in 1995, HomeView is based in Exeter, N.H., and serves Seacoast New Hampshire and nearby areas of Maine and Massachusetts. Proprietor Timothy D. Rooney has lived in Exeter since 1970, working in construction, historic renovation, and property inspections for 30 years. Timely, comprehensive inspections and prompt, detailed reporting are trademarks. We inspect single-family and multi-unit properties at competitive rates. We also provide property inspections for commercial buildings; contact us for pricing. 30 years experience in residential and commercial construction, specializing in historic home restoration. Owner/operator of construction company for 15 years, managing residential and commercial construction projects. Extensive knowledge of all structural and mechanical systems. Certified member of the American Society of Home Inspectors (ASHI) #112597. 1995 Graduate of HomePro Institutes - Professional Home Inspection Program. Continued involvement with ongoing education courses pertaining to changes in the home building industry. Strong moral and ethical standards. We serve the Seacoast New Hampshire area including Hampton Falls, Hampton, Rye, Newcastle, Portsmouth, Greenland, Stratham, Seabrook, South Hampton, Kensington, Exeter, Newfields, Newmarket, Epping, Raymond, Durham, Dover, Somersworth and Rochester. We also travel to areas like Milton, Wakefield, Brookfield and Sanbornville, as well as the Concord and Manchester areas. We also serve southern Maine - including Kittery, York, Wells, Sanford, the Berwick area and Kennebunk - and northeastern Massachusetts, including Newburyport, West Newbury, Amesbury, Groveland, Haverhill, Andover, Methuen and Merrimack. Even if your town is not listed here, give us a call. 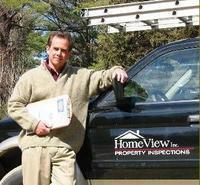 What does a HomeView inspection report include? A HomeView report also contains a contract between the home buyer and HomeView Inc., a fee schedule, a copy of the ASHI Standards of Practice, a narrative describing any deficiencies of the property discovered within the scope of the inspection and a general synopsis of the property's current condition. Your Homeview inspection report will be made available to you through the HomeGauge reporting system, usually within 24 hours of the inspection. Your report will be posted on a web page accessible only to you and anyone else you choose. When it is posted, HomeGauge will notify you via email, with your username and password. Your report will be similar to this sample report, but include other categories and custom detail pertaining to your property and created by Homeview. Houses over 2,500 sq. ft.: Add $75 per 1,000 sq ft.
Over 2 units, add $75/unit. Over 3000 sq. ft. add $75. Up to 1,200 sq. ft.: $400. Over 1,200 sq. ft: Add $50 per 1,000 sq. ft.
Add $75 for structures over 75 years of age. Includes three stages/site visits: foundation, pre-drywall, systems check and final walk through. Additional site visits, $150 per visit. For inspections in Massachusetts, add $75 for state taxes. State-certified test results 3-5 days. Will schedule for testing in Maine. State-certified test results 3-7 days. We can arrange for a qualified septic service to provide a professional septic inspection at the same time as our service for a small additional fee.